A pale light Violet shade that is a perfect summer or spring purple. 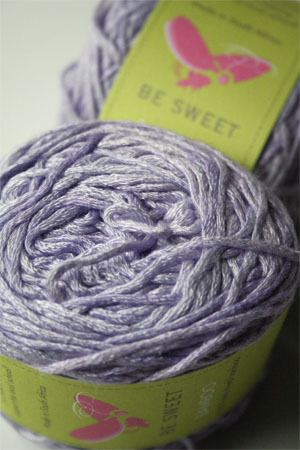 More red than a real lavender, this soft and gentle bamboo yarn color is luscious with a sheen that could only come from bamboo! A great alternative to silk for summer!